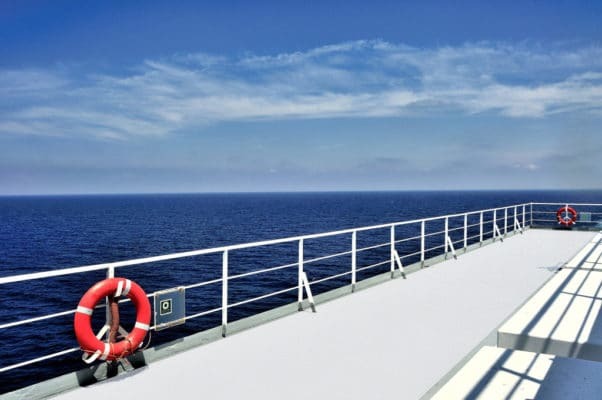 With sleek surfaces and the continuous wave motions, the risk of slip, trip and fall injuries aboard vessels is extremely high. Although slipping may seem minor when compared to other types of maritime injuries, it can actually lead to several serious injuries. To make matters worse, many slips and falls could have been prevented had the employer and/or vessel owner taken proper precautions beforehand. If a seaman is injured during a slip and fall accident because of the negligence of another party, general maritime law mandates that they have the right to be covered for their losses and injuries. In the best situations, it’s hopeful that a slip and fall accident will only result in minor sprains. Unfortunately, this is not always the case, as noted in a 2009 accident involving a passenger on Carnival Cruise Line’s ship, the “Carnival Pride.” While aboard the ship, Denise Kaba slipped and fell on the ship’s pool deck area. Although it’s expected that pool decks come with the risk of slipping, the problem occurred when investigators determined that a slippery resin was used on the pool deck. Several prior accidents had already been reported to Carnival regarding the unsafe resin surface, yet nothing was done to prevent future accidents. In this incident however, Ms. Kaba’s accident resulted in serious, life-threatening injuries, including a fractured patella and two total knee replacements. In 2011, Ms. Kaba was awarded $2.998 million for her injuries. In another slip and fall accident, a cook working aboard a ship that was navigating near the Gulf of Mexico slipped while walking across a slippery, unsafe deck. He hit his spine against the ship’s railing as he fell down. His injuries were so severe that he now lives with paralysis below the waist. Consequently, the cook filed suit against his employer after it was determined the deck didn’t have the required non-skid surface. Under 46 U.S.C. § 688 of the Jones Act, seamen must be afforded a safe working area at times. If this law is violated, the seaman has the legal right to file for damages for employer negligence and failure to maintain safe working conditions. This entry was posted in Blog Post and tagged boat, house, marine, maritime, pontoon, powerboat, sailboat, watercraft.